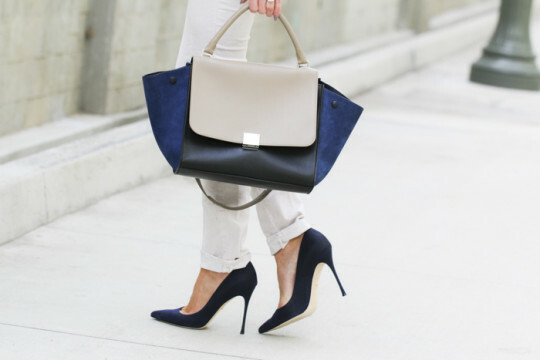 What comes to mind first when you think of a Celine bag? Simplicity? Iconic style? Polished design? To me it’s all of the above. Celine embodies what every bag wants to be … a chic yet simplistic style that mastered a spectrum of sizes and shapes to fit comfortably in every lady’s bag collection. The Phantom craze a few years back is still going strong. You can fit anything and everything in this bag with the most unique shape and style. 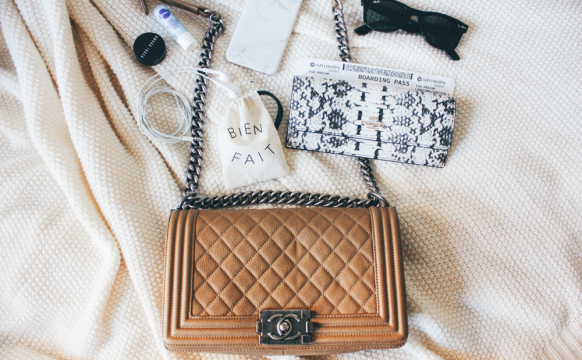 I also love the Trio Crossbody. It has so many compartments for easy organization and storage, besides who doesn’t love a good cross body? My all time favorite however is the Trapeze. Celine makes many different styles of the Trapeze with numerous color and leather combinations. The size is ideal for an every day bag and very fitting for the work environment with it’s polished corners and signature luggage wings. And of course for me, the versatility of use as a handbag, shoulder bag or cross body always makes it a winner in my book. The Trapeze can take your look from a sophisticated business style to an on the go girl boss. 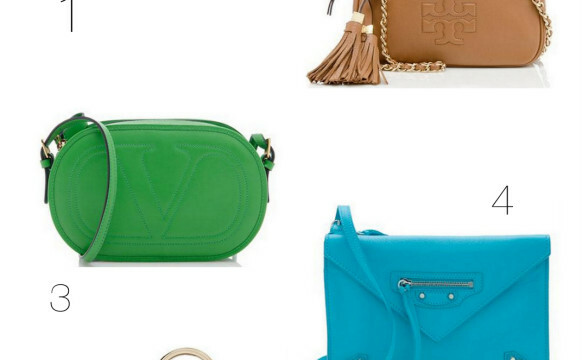 I had so much fun playing dress up with my Bag Borrow or Steal choice of the month. The navy color combination worked so easily with transition from trousers to denim for any time of the day. Michelle Martin, Co-Founder of Fifty-Two Thursdays Blog. Check them out!